A collection of photographs from around the Page, Arizona area. Many of the images are from a location nick-named "White Pocket". There are also photographs from two different trips into both the North and South Coyote Buttes area. Getting into either North or South Coyote Buttes requires a permit - which can be difficult to obtain since there is limited access. There is a "lottery" drawing every morning for the next day's permits. Sometimes more than a hundred people will be in the drawing for one of the 10 permits the forest service has available. 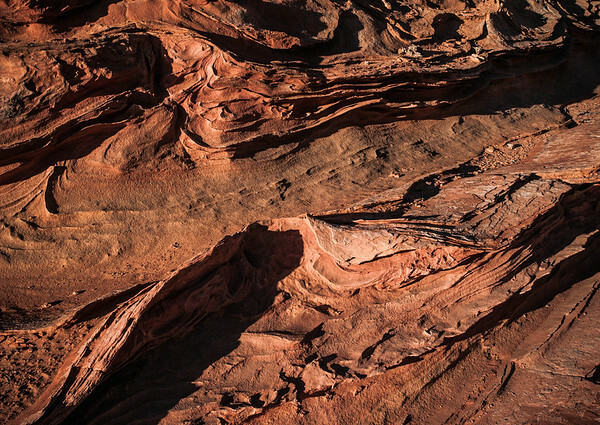 The North Coyote Buttes area has become well known for a section called "The Wave". It's a long and difficult hike to get there and even in late September the heat requires carrying several liters of water. Personally, I prefer White Pocket and even found South Coyote Buttes to be more interesting. But it was nice when we finally did "win the lottery" one morning and got our chance to hike into the North Coyote Buttes area.